We've got some exciting debates coming up in less than two weeks, so be sure to mark these on your calendar if you're in the Detroit/Ann Arbor area of Michigan (for those who aren't, they'll appear on the Trinity Channel). 2:00 PM—Osama Abdallah vs. C. L. Edwards: "Was Muhammad a True Prophet?" 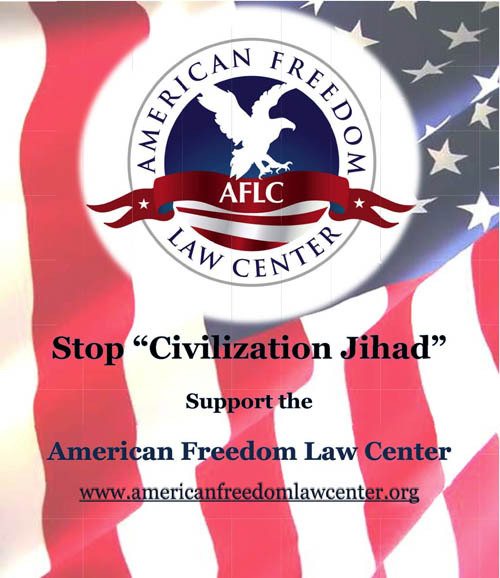 6:00 PM—David Wood vs. Osama Abdallah: "Is ISIS Islamic?" Is the debate going to be aired live on Trinity Channel? David, why Osama again? Was no other muslim debater available? I personally dont see how Osama could add value to any debate. Its irritating to watch him debate with his incessant and nonsensical blabbering. I'll try to catch them at trinity channel. Say what you want about Osama, but he's not scared to debate topics that most Muslim debaters won't touch. So if Osama is the only debater who's willing to step on stage and defend Muhammad, he deserves the opportunity. David is right! When no other muslim has the knowledge of THEIR own religion as does David, they'll most likely resort to blabbering incoherent sentences and just be vapid. Most are poltroon because of their lack of knowledge. As long as Osama can make his point clear and be objective, all we can hope is he try his best. Thank you brother, 40 mins is too long of an opening statement. And if you can (I know you already have but please do it again) tell osama, for his allah's sake, to stick to the topic please. LORD JESUS bless you brother, go and score another one for our CHRIST. @ David and Akairey: That why I asked if there was no one else. If he is the only one, then sure go for it. I just hope he comes better prepared and we don't get to see a repeat of the past. Thanks for your replies. Sure. Please name your formats. I don't want to be harsh on the audience. By the way, can you please check if I could play video clips during the debates? I think I have two short clips that are worth playing. @Stephen, it's funny how you're so polite and nice in person but rude behind the keyboard. I suggest you learn to free yourself from hypocrisy... and with arrogance while you're at it. Well say what you want about debating Osama. At least with David Wood debating we are sure to get the debates up in a timely fashion. Not wait several weeks or months to see the debates. That's if we see them at all. 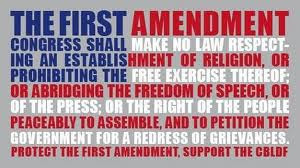 There is no reason in this day and age that a live debate should not be live streamed on the internet or at least up on on the internet with in a few days. I watched the riots in Fergeson Live from people walking around with their smartphones streaming it live to youtube and Ustream. actually Stephen does have a point, We all remember your bad interpretation of 1 Corinthians 5:5 and still have not admitted to your misinterpretation to it. I hope to watch them when they are released. Should be interesting. And if you Google "Christianity", you'll usually find me on either the 5th or 6th page. Sometimes on the 3rd or 4th page, depending on which time of the year. This is just to respond to some of the nonsense that is being spewed here about me. I rarely speak about ranks of my website, and I don't like to brag or sound arrogant or proud for it is against both my Faith and morals, but this is to silence some of the childish and arrogant nonsense here. Hi Osama. I know there are screens at the church, but I just sent an email to make sure they're equipped for sound. Assuming they are (I'll let you know as soon as I hear something), you'll want to be at the church early to get your videos ready so that there are no technical difficulties during your opening statement. 30 minutes of Q&A from the audience. That's a total of two hours. I can't speak for you and C.L., so I'll send a message to C.L. letting him know that he needs to propose a format for your debate on Muhammad. Thank you for the format. I accept. Please see if CL and the Church also accept the formats. If they need them to be modified, then please go ahead and do so. I accept whatever format works best for the audience. And Happy Thanksgiving to everyone here. I am very interested in watching these 2 debates. I am in California which is west coast. So my question is are these debates starting 2pm and 6 pm eastern time or western time cuz if its eastern then for me they would start at 11 am and 3 pm. please let me know. Sorry Osama but you really shouldn't debate. Nothing personal. But I have heard you debate several times and read your material and quite frankly it is not very good. To quote you your debates are no more than spaghetti. On a personal level I think you are a fairly nice individual, but should not be debating on any level. How long after your upcoming debates with David and CL can we expect to wait for your heavily edited versions? I am personally OK with using the same format for our debate as you are using for the one with David...how about it? Thank you. Looks good. I look forward to meeting you and David and the team next weekend, Insha'Allah (if Allah Almighty is Willing). God bless you C.L and David wood.God be with you as he is always with you. Is there a way we can make our debate's opening statement be 30 minutes? I really need every minute for my material! 20 minutes will still do, since I already agreed to it. I am only making a request. You can still refuse and keep it at 20 minutes. But if you could modify it to 30, then I would greatly appreciate it. You could probably cut 10 minutes from the QA session. With David Wood, the format is ok for me. I am all set for it :), Insha'Allah. Thanks David. The format looks good to me if CL agrees with it. OK, that updated format David proposed looks fine to me. Did you hear back from the Church about the sound? I really would love to play a video of 10 minutes for my opening statement. I can without the video at the worst case scenario, but I would really appreciate it if I can play the video clip. And by the way, I already booked a hotel for Friday night. So I can arrive as early as the Church requires me on Saturday. Just to avoid unnecessary trouble, I refuse to have Sam Shamoun be the moderator of any of my debates. Period. Just like I refuse to have Nadir Ahmed be my partner in any of my debates. Period. I challenge Sam Shamoun to any debate of his choice. But I will not accept him as the moderator. I see that he was the moderator for Anthony's recent debate. Please do not do this to me. I will not accept him. He is too obnoxious, and I don't want him to have a seizure break on me again like he did last time. Man, he had the WEIRDEST facial expressions that looked like he was having a seizure attack or something of this sort. So please find any moderator except him. I don't see this as difficult. You and CL can rotate moderation if no one else is available. I didn't hear back from the church on the audio. However, C. L. goes there, and he said the church is definitely equipped for showing videos. I'm guessing you should have your videos ready on a thumb-drive so that they can put them on whatever system they use. Thank you David. I don't need to show from my laptop. It will not be necessary. In fact, with so much writings to read from, it'll frustrate/confuse the audience :). But I will pass my videos via a thumb drive. Thank you and CL for all of your help! Since I was at Osama's debate with Sam, I want to point out that Osama is lying through his teeth. Since the debate was recorded everyone can go watch it and see that Sam keeps his cool while Osama completely loses it. The fireworks begin at the 1:56:00 mark and reach a fever pitch around the 2:03:45 mark when Osama, doing his best impression of a Tasmanian Devil, gets out of his seat and starts moving towards Sam. BTW, I did not make up the title above, which includes the parenthetical remark that "Osama Loses Mind." The person who mirrored the video came to that conclusion all on his own. As always, your integrity is as irrelevant as you. Was it not Sam Shamoun who cut me off? By the way, the moderator did allow me to have it my way, but it was cut off from the video. Sam Shamoun had no respect to anyone. He was acting as the moderator and debater. I simply put him in his place and gave him the dose of his medicine. I am glad though that I thoroughly exposed him to be an obnoxious loser with temper problems and seizure breakdowns.He probably pulls your strings too. You seem to be nothing but a dumb troll and a puppet that has no personality. And forget integrity of course. As always, your integrity is as irrelevant as you. Was it not Sam Shamoun who cut me off? No, it was not. It was a cross-fire and he was supposed to be asking you questions, which he did masterfully in spite of your intemperate flare-ups and outbursts. By the way, the moderator did allow me to have it my way, but it was cut off from the video. If you think there is footage that makes you look good, then provide the link and the time stamp and prove me wrong. And don't say you don't have the footage, because you recorded the whole thing on your own camera. Sam Shamoun had no respect to anyone. He was acting as the moderator and debater. I simply put him in his place and gave him the dose of his medicine. I am glad though that I thoroughly exposed him to be an obnoxious loser with temper problems and seizure breakdowns. Actually, you made Sam look REALLY good. The contrast between Sam's conduct in the face of your meltdown was a remarkable testimony to the work of God's Spirit in his life. He probably pulls your strings too. Thanks for admitting that Sam pulled YOUR strings. You should really try to work on your self-control. Oh, and you should try to keep track of what you are arguing so you don't turn around and contradict yourself. For example, you probably would not want to argue that you kept your cool and then turn around and say that someone pulled your strings and you came unraveled. You seem to be nothing but a dumb troll and a puppet that has no personality. And forget integrity of course. I would call you a dumb troll and a puppet with no personality, but that sort of thing might just call my integrity into question. Thanks for being such a peach...as always. I just generated the file fresh for you. The reason why I didn't pursue it before is because I considered it childish rubbish and garbage that the likes of Shamfoon and Ahmed stoop to. It was petty in other words, and I didn't care for it. But shampoo was the one at fault here as the clip proves. So now Mr. Christ-lie, what are you gonna do about it now that you pushed me to generate it for you? Push me more Anthony and I might upload the debate with my edition that will thoroughly expose and humiliate your hero more than what he did to himself. Being buried alive with work and life and my website, I just didn't think he was that important to stoop to his low level of obnoxious behavior and proving petty BS of this type. Honestly, it was a typo. I have a Mac, not a PC, so I cannot open your file. In any case, since I was there, the video is for the benefit of others. I am certain you don't have any footage that proves Sam lost his cool, and that you most certainly did. In fact, you lost your cool during your debate with me, interrupting me during the rebuttal period, and you completely lost it when debating Louis Lionheart. Haaaa!!! Now Osama is on the warpath against me. Too funny. Well, I can't listen to your second file either, but if you want to get something off of your chest, we could always debate the issue. In fact, I have the perfect moderator in mind. OMG. You would think these files are Universal by now!! I am going to delete my comment and the file then Anthony. It was a Tom and Jerry cartoon clip :). The previous comment and the WMV file will be deleted to not cause any misunderstandings for those who won't be able to open it. I am picking up my rental car and taking off this afternoon to Michigan, Insha'Allah. I will text George when I arrive to the hotel, Insha'Allah. If you guys need to get a hold of me, then you can go thru George. Powerpoints: We do not have cables that run to the stage for you to run a laptop to powerpoint. Our projection computer in the back of the auditorium runs our powerpoints. CL is going to send me the powerpoint file and I will have it on that computer. We have one remote that can run the slides. I also have one additional cable for a laptop in the back that we can switch between. Two options: 1. Send me the powerpoint files and you guys will have to share the remote on stage to control the presentations (I don’t know if there is a set order you will present in or not). 2. CL can run powerpoint off our projection computer, you can run your powerpoint off your laptop in the back IF you have another remote that you can use. Videos: If Osama wants to play a video, I need to have it sent to me so that I can make sure it works. There are many file formats for videos so I want to make sure it will play. So he will need to give me the actual video file (.mov is best). What time are you guys arriving to set up your computers? I want to make sure we have enough time to get things working so we don’t run into an issue right before the debate begins. All of my formats are in Microsoft's standard WMV format. And I can be as early as they want me to be at the Church. Would 12:00 pm sound good? A WMD file is completely different from an MOV file. I'll see if the guy can be there at 12:00 to make sure your file is compatible with their system. Also, send me a bio for your introduction. I'll be at the church around noon. Never mind. The pastor just called and said we can't get in until 1:00. That will give you an hour to set up your video and such. I had put these two events in my calendar 2 weeks ago and sat ready at both 11 am and 2 pm on trinity channel, because I live in California PST but the debate didn't come on either at 11 am or 2 pm. its 4 pm here so still time until the 6 pm debate. what happened? did I miss something? did I go to the wrong website/channel? or were the debates completely cancelled today December 6th? The debates were in Michigan. We just did them. I am currently uploading the videos on my both Youtube Channel and Website. I will insha'Allah share the links with you as soon as they're done uploading. Here are the links for my debate with David Wood on "Is ISIS Islamic?" May Allah Almighty open up everyone's heart to Islam. Ameen. My debate with CL will uploaded also soon, insha'Allah. Topic is " Is ISIS Islamic"! David clearly showed, that ISIS is using islamic theology, to carry out, their islamic mandate. Osama, just CONFIRMED that islam from day one has a HUGE AXE to grind with the Jews! Right,to the core, that the leader of ISIS is Jewish! islam from the day it was founded has a huge inferiority complex when it comes to Judaism! I am just so disappointed that during Q&A, David was not able to respond to osama's many twisting perversions especially on Our Lord's Jesus Christ Deity. My heart is so "stirred", with the way Q&A format was structured, where there is no room for "right of reply"
The answer that osama gave on the Deity of Christ, we know is the usual muslim adulteration, twisting, context-less, perversion that muslims use... But there are "simple" Christians in the audience who would be taken aback with what he said! 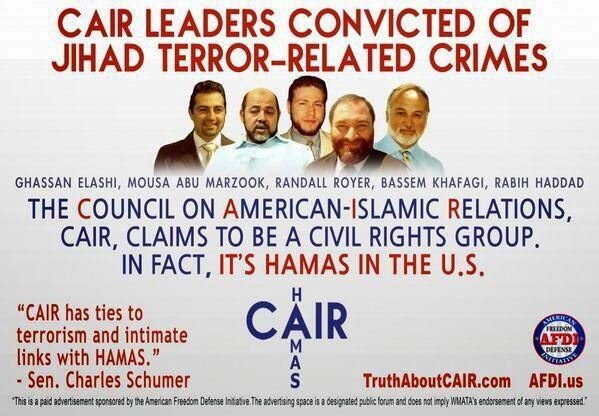 They are not aware of the dishonesty that muslims employ! I do Hope you will guide the Pastor as to what muslim employ & how to respond to these muslim perversion! 1- Was Muhammad a True Prophet? Thank you for admitting that the Quran needs reformation. But it's obvious in the Quran that you dare not reform the words of Allah. But if you want to change what Allah says 15:9. Then you can go ahead and have your own religion. But be rest assure that it's not Islam because according to you muslims, Muhammad is the last prophet. So how then will you who Allah did not call the last prophet want to reform the Quran? Osama is so ridiculous. Why come for the debate when you know somebody is going to do the talking for you through your video? Can also tell us that muslims that are joining ISIS/ISIL are also jewish born in Turkey, Syria, USA, UK, France and so on. Did that Journalist know that muslims from France are also joining ISIS/ISIL? Muslim will never understand the trinity. In this verse we read about God and the Spirit of God. And in John 17:24, we read about Jesus saying the Father has love Him even before the foundation of the world. If you'll not accept the trinity then you must accept God and the Spirit in this verse! A muslim friend I chatted with said "If the Spirit of God descend on Jesus, that means God is in Jesus" then I asked him. If God is in Jesus, does that mean there is no God in Heaven since Jesus is right here on earth? I noticed one thing from verse 1 to verse 25, that the word our or us never exist until the next verse after 25. So who are the "us" and "our" in the verse? Can you help me solve this verse? Here Jesus is claiming that before what happened in Genesis 1:1 to any Bible verse @Osama know that the Father has love Him. Can God love what does not exist? Can you Osama love what is not existing? Muhammad and Allah has issue with Jews. 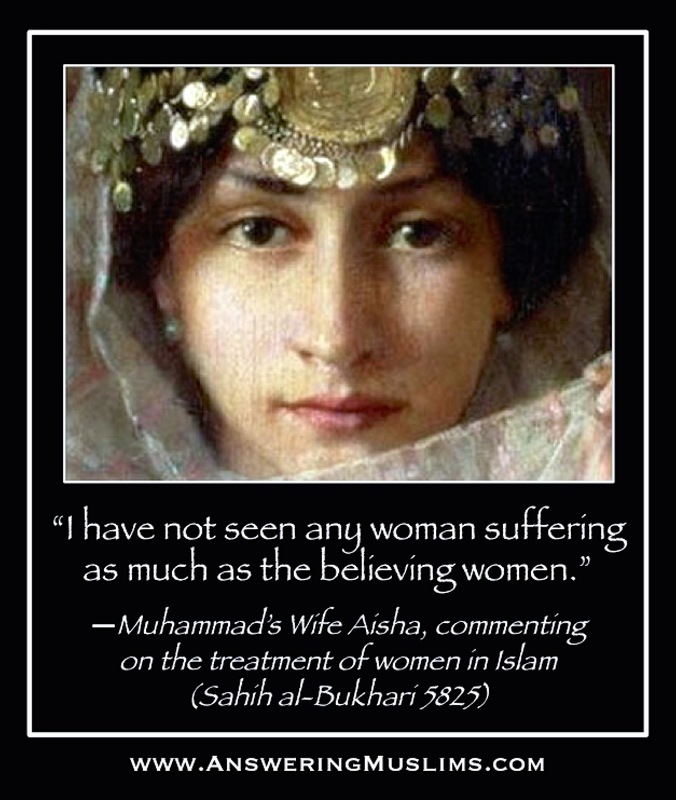 No wonder Muhammad was poison by a Jewish woman. @Osama, what did Muhammad did that made that Jewish woman poison your prophet? Allah did not even have more issues with Christians, Pagan and Atheist than he have with Jews. Dr. David you are wonderful cos you really put that deceptive religion in it place #Dustbin. Even Osama even agreed to Quran going through some reformation. As a Christian, I wouldn't think of saying the Bible needs reformation. For even thinking that Islam need reformation, That shows that Islam has fail humanity and even the people that practice Islam. Osama may God remove that veil in which Allah and Muhammad has use in covering your face and the faces of other muslim brothers and sisters in general. God honour His word more than His name. Allah being your god never knew how to honour his word, that is why he will always abrogate his word. Thank you for admitting that the Quran needs reformation." I never said that. You are too angry. Dr David Wood got the correct memo & understood the topic & kept to it. We all know that osama is notorious for going off topic, But I think he has set a new standard, creating his own Topic! Brother David Wood, so sorry to say this but you just gave a him a platform to Jew bash at a decent, pious Christian setting! I wish you will completely never consider him for dabates! Like I told the one before you, I never said that. We have no problem with Judaism. You too are too angry. Really are an educated person? I did not say you said that! My Point, the crux of your debate is that! Everybody is angry, The Christians, The Jews, the non-believers except muslim, which is made up of ISIS, Boko Haram, Hamas ETC ETC ETC....all "peace loving" groups! The muslim women from UAE, she was "deeply in love" with the American lady, that she needed to stab/kill her! Yes @osama we are all angry except muslims, How astute of you! When can we expect the videos to be posted on your Website and Youtube Channel?